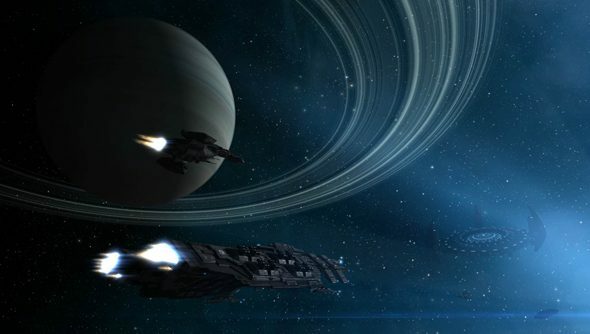 CCP have closed their San Francisco office and amicably parted ways with one of their most visible executives in chief marketing officer David Reid, a financial statement has revealed. The move comes as part of an effort to “combine and simplify” the Eve operators’ business. The changes have seen CCP retract some of its international arms and focus instead on its Reykjavik HQ, where Eve is developed. But it’s worth noting that the company retain their Eve Valkyrie team in Newcastle. David Reid had joined from Trion Worlds in 2012 to oversee Dust 514’s launch. His FanFest speeches and interviews will be missed by the Eve community. He leaves alongside Joe Gallo, who had been CFO at CCP for five years. CCP San Francisco wasn’t responsible for the studio’sWorld of Darkness MMO. That office was based in Atlanta, and already dissolved in the sunlight earlier this year. In a financial statement translated here, CCP boss Hilmar Veigar Pétursson noted that Eve Online is “going strong”. In fact, the reduction in staff reflects a broader shift by the company to focus wholly on the Eve universe. “In April we took the difficult decision to quit development of the computer game World of Darkness and focus to the goal of developing games for one and the same game world; [the] EVE game world,” he wrote. Our Richie interviewed Reid about Eve’s Rubicon expansion last year. Will you miss him? Thanks to Reddit and Eurogamer.